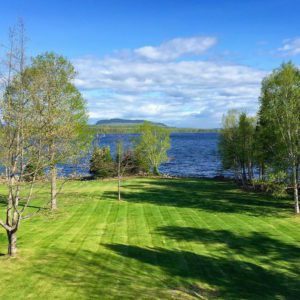 While visiting Moosehead Lake, it is a must to take a trip to Mount Kineo. 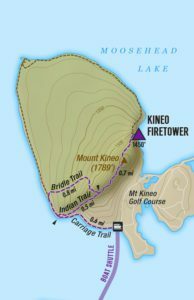 Kineo rises dramatically above Moosehead Lake, reaching 1,789 feet above sea level. It is an impressive sight that you see on your drive to Tomhegan Camps, with an almost sheer 700 foot cliff. The mountain is only reachable by water, but no need to worry. Our managers offer a shuttle that runs from the Tomhegan Marina to Kineo from May until mid October (ask for more information). 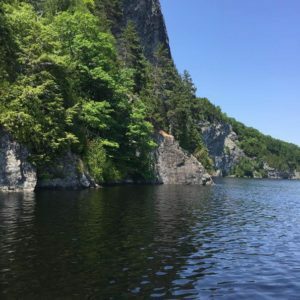 With four trails to choose from, Mount Kineo is a hike for all ages! 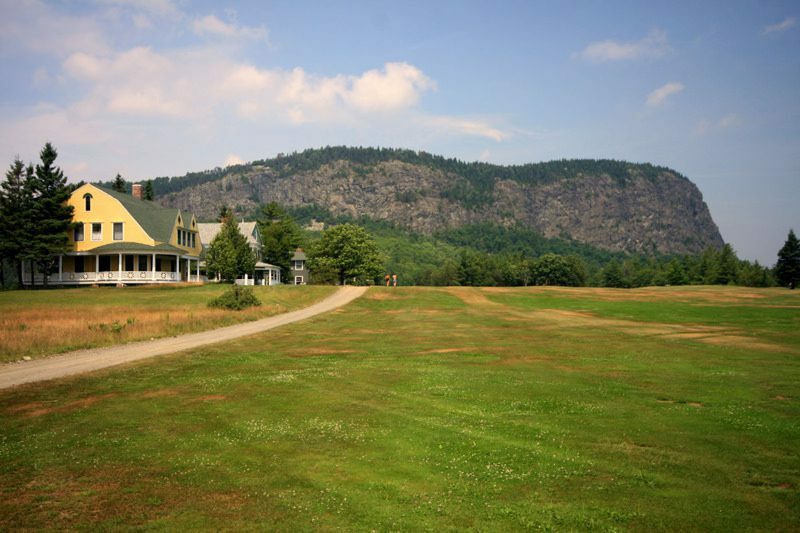 The most common hike taken by our guests is to take the Indian Trail up the mountain and the Bridle Trail down. 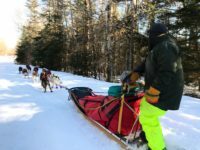 The Indian trail is a moderate level hike, climbing steeply along open ledge. It is the shortest but most strenuous route to the summit. Although the most challenging of the trials, it provides the best views! If walking along the Indian Trail’s 200 foot drop-off isn’t your thing, take the more family-friendly Bridle Trail, which was the original fire warden trail. Or for shoreline view, the Carriage trail is the longest of the trails (2.2 miles) and parallels the shore. It connects to the North Trail, creating a perimeter hike of the peninsula. If you want an even longer trip, maybe even an overnight, try the North Trail, which leads 1.9 miles from the fire lookout to campsites at Hardscrabble Point. 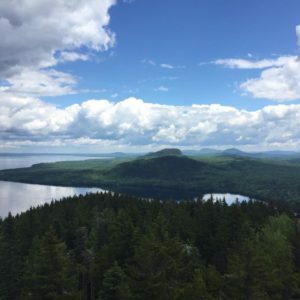 All four trails lead to the summit, which has a converted historic fire tower, used until the 1960s by the Maine Forest Service. From the summit, hikers can indulge in a breathtaking 360-degree view. If the whole family doesn’t want to hike any of the trails, no problem! 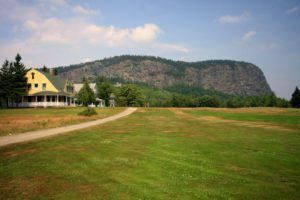 Mount Kineo Golf Course can keep the non-hikers busy! On this nine-hole course, the most scenic hole is the fourth, par 3, 138 yards, over water to a green nestled at the base of Mount Kineo. Cart and club rentals are available and you can choose to play 9 or 18 holes! Your family can also pack a picnic lunch or buy sandwiches, hotdogs, snacks and beverages at the clubhouse. We suggest heading over to the mountain in the mid-morning to spend the day hiking and exploring. Ask our managers for shuttle availability right from the Tomhegan marina! Our Family has grown by 6 Fawns!